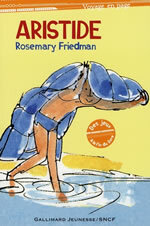 When Aristide, a little French boy, goes to play in the sea on his lilo he doesn’t expect to fall asleep. Nor does he expect to wake up in the middle of the English Channel. But, most of all, he never dreamt he would end up in England, only to be taken prisoner by some English boys camping near the beach. How is he ever to get back home? Aristide is back in another funny adventure for 5-7 year olds. This time David, the boy Aristide met in England, comes to stay in Paris. 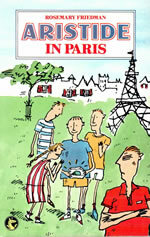 The French boy wants to show his English guest all the sights of Paris and to introduce him to all his friends. But the holiday turns sour when Jean-Bernard, a French bully, steals Aristide’s most treasured possession. Somehow the two friends must find a way to get it back and to teach Jean-Bernard a lesson.